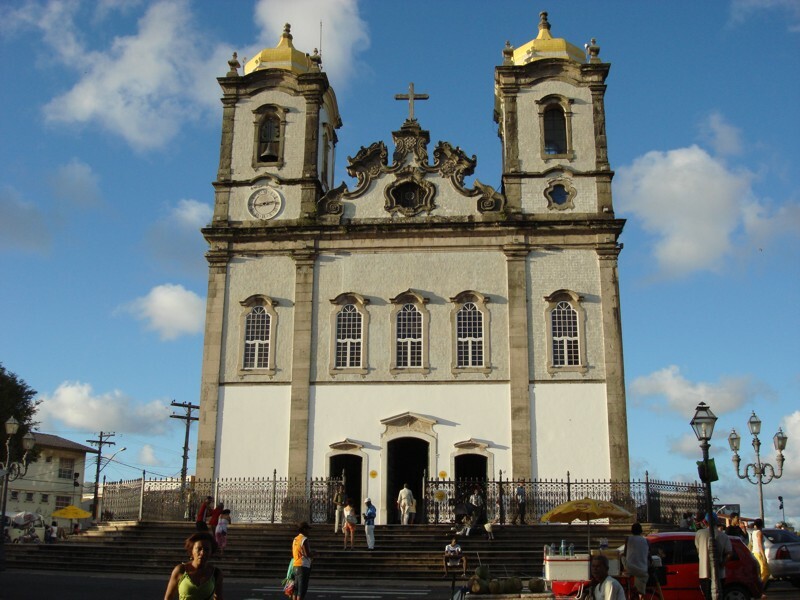 This fascinating and carefully restored convent in the heart of Salvador's historic centre is a great option for experiencing the best of this vibrant city. Casa do Amarelindo is a comfortable and tranquil boutique hotel in the heart of the Pelourinho district, with wonderful views of the bay and a rooftop pool for cooling off. With only seven rooms this colourful boutique hotel is just the ticket for a delightful short break in Bahia's capital city. A good value option with a home-from-home feel makes this a firm favourite for Latin Routes. The first thing you notice when arriving in Salvador is the dominance of African culture. When African slaves arrived in Brazil many were sent to Salvador to work on the sugar cane plantations in Bahia state; now some 80% of the population are the decedents of these slaves. People here are very proud of their heritage and you can see influences of African culture throughout the city, making Salvador a truly unique and fascinating location to discover for a few days. 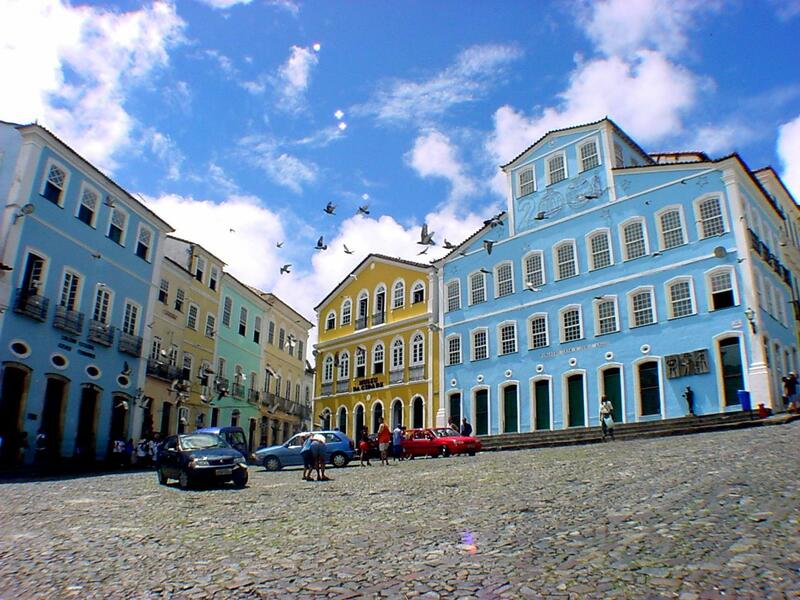 Salvador was at one time the capital of Brazil, until Rio swept in to take over in 1763. The wealth all moved south to Rio and Sao Paulo, and Salvador was left to its own devices, where it developed its own unique music, its samba, its spicy food and its African religions. Salvador is divided into upper and lower city (Cidade Alta / Cidade Baixa). The upper city is where you will find the old city centre Pelourinho, full of colonial architecture, artisanal shops, a few museums lots of restaurants and bars and a few nice little hostels and hotels. The lower city is the commercial centre with many US style shopping malls and buses going all over the city and beyond. 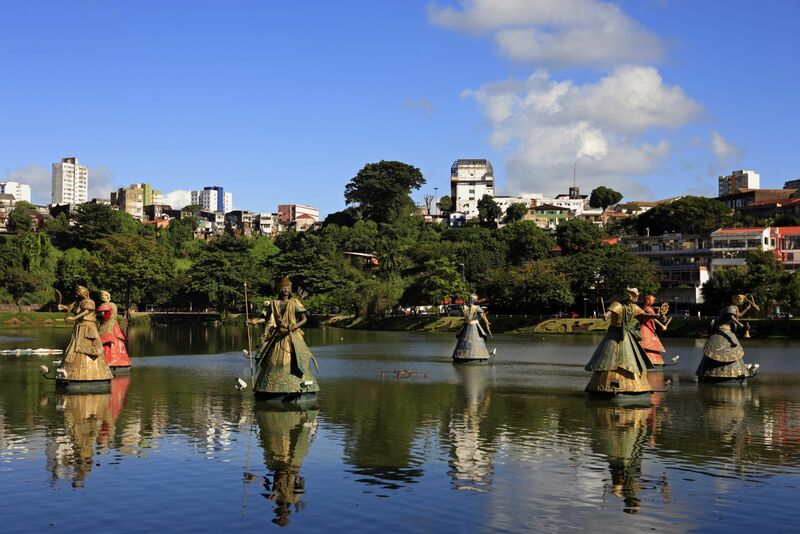 There are beaches in all directions; there is the trendy Rio Vermelho and the Barra neighbourhood, both popular with visitors and with hotels and nightlife catering for the many international tourists which come to enjoy the city. There are a few beaches further out from the centre that are almost exclusively frequented by locals, which are a real treat to see. It can be fun to stay in one of the hotels in the old city, although be prepared for a bit of noise at night. If you like peace and quiet you might prefer to stay by the beach and get a taxi in, or stay on the outskirts. Whatever you decide, you will probably need at least two days to take in this colourful neighbourhood, full of amazing colonial architecture and narrow cobblestone streets. There are two large squares Praça da Sé and Terreiro de Jesus, separated by the cathedral. The cathedral was built by the Jesuits shortly before they were expelled. It holds Candomblé ceremonies (the Afro-Brazilian animistic religion). These are well worth seeing if you can manage to catch them, although it’s best to go with a guide who can explain their history and local significance. Candomblé is a big part of Bahian culture and you will see symbols of its Gods featured on paintings and jewellery all over Pelourinho. Ceremonies devoted to the Gods are held through the year, so it is worth checking if you are visiting during one of these celebrations. The two main squares are lively both day and night, with food and drink carts, people banging drums or practicing Capoeira. The music can be heard everywhere, pouring out of doorways and open windows and being played in the streets themselves. Tuesday night is drum night in Pelourinho, where you will find a virtual street party going on and the city’s percussion groups will be banging their drums late into the night. People will be dancing samba to the beats and you can either join in or simply watch and enjoy. Even if you are not visiting on a Tuesday, you will probably find an impromptu drum practice going on in the streets of Pelourinho somewhere. 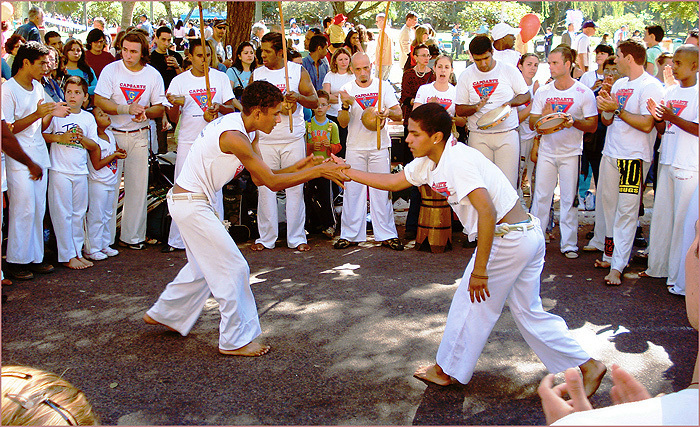 This is a combination of dance and martial arts, that originates from Salvador. It was practiced by the slaves; in reality it was a fight disguised as a dance. The slave owners forbade the practice of Capoeira but the slaves did it anyway. You will see many demonstrations in the old town and there are also classes available if you want to give it a try. The old city contains many small shops selling artisanal products; paintings and musical instruments are particularly popular. The huge Art Deco lift (Elevador Lacerda) will take you down to the Mercado Modelo directly below. This is a covered market where you will find an array of handicrafts. It’s a little touristy and the people can be very sales-pushy but it is worth a look and don’t forget to haggle if you want to buy something. Plus the lift is fun; be sure to take in the view of the bay from the balcony whilst you’re there too. There are also countless shopping malls in the lower city (you can get a bus or a taxi) if that’s what you’re looking for. They offer the usual things you would expect from a mall (meaning nothing you couldn’t get anywhere in the world) but most will have a decent enough food court and often a cinema too. If you arrive in Salvador during, or shortly before, carnival then you will be in for a unique experience. Carnival is a massive celebration in Salvador; it is supposedly the biggest in Brazil. Salvador carnival is popular with Brazilian tourists, as even by Brazilian standards Salvador has a reputation for knowing how to enjoy a party. Local food is influenced by its African heritage. Two popular dishes to try are Moqueca, which is a seafood stew made with coconut milk, spices and palm oil, and acarajés (black-eyed peas and shrimp, made into patties and deep fried in palm oil). The latter can be bought on one of the numerous stalls that line the streets of the upper city, normally served by a Bahian woman in traditional costume. Barra is one of the most popular of the urban beaches, where you will find a mixed local and international crowd. It is surrounded by restaurants and bars. From there, there are beaches stretching all the way out of the city and beyond. They get less crowded as you get further out. 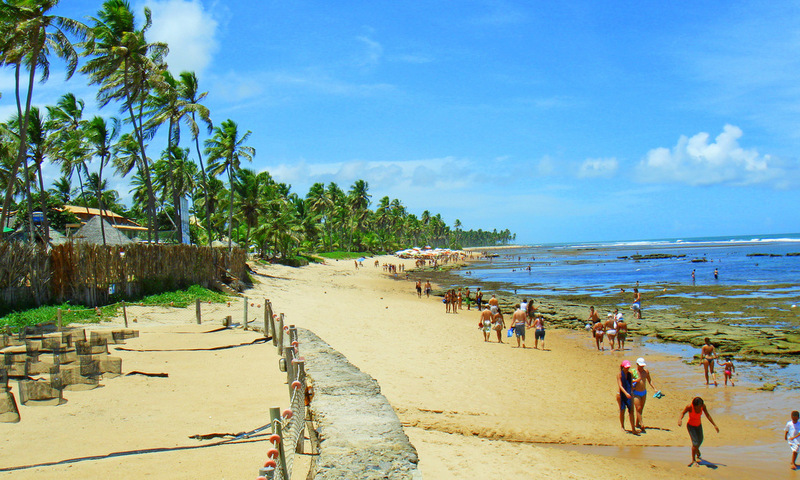 If you want to go to beaches where only locals go, Jaguaribe or Piatã are good choices. They get crowded at weekends but are often virtually deserted during the week. (Take only essentials with you and don’t wander around after dark though). Salvador is one of those places that can easily get under your skin and you can find yourself wanting to revisit time and time again. There is always another class to take or another restaurant to visit. Salvadorans love to party, probably more than anywhere else in Brazil. Unlike the uber-cool clubs of Sao Paulo, partying here tends to spill out onto the streets, and dress is casual; there’s normally no need to change from flip-flops and shorts. 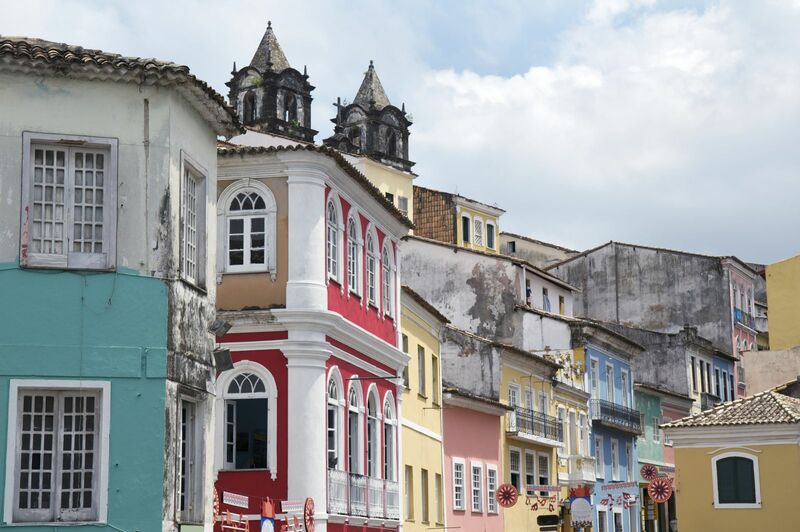 Salvador was once the magnificent capital of Portugal’s New World colony and today it has an energy and historic beauty that few Brazilian cities can match. The modern city surrounds a historical district which is like a living museum of 17th and 18th century architecture. Here you will find cobbled streets lined with cafes, upmarket boutiques and a gorgeous church at the centre of it all. Salvador is home to many festivals throughout the year including the annual carnival. It means you are never far away from the beat of drums and the glitzy fabrics of costumes dancing against the backdrop of colonial buildings. Salvador bustles at night too with many restaurants and bars which in particular tend to cluster around the open squares and plazas. Once upon a time Salvador was the centre for African slavery and there’s no other place in the world where descendants of African slaves have preserved their heritage so well. You will find examples of it everywhere from music and religion to the food and dance. This gives the city a unique character and worthy of at least a stopover on the way to the nearby beaches. Latin Routes can arrange a walking tour of the historic centre for you to get to know this city and it’s history. Speak to one of our Travel Specialists for more information. 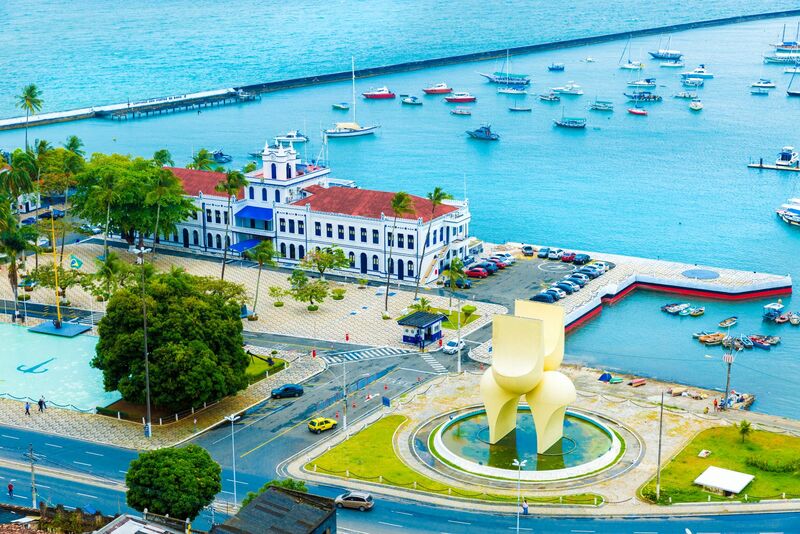 Salvador can be visited at anytime throughout the year but temperatures are at their warmest between September and April. A beautiful, friendly small hotel with bags of charm and wonderful views across the bay.